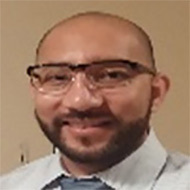 Estefan M. Encarnacion | Reaching New Heights Foundation Inc.
Estefan M. Encarnacion is an attorney licensed in California and in the Federal U.S District Court, Central District of California. He has a passion for justice for his fellow man especially fellow veterans. From 2001-2005 he served as an enlisted infantryman/machine-gunner in the United States Marine Corps. In 2004 he was deployed to Iraq as part of Operation Iraqi Freedom and received a Purple Heart after being severely wounded in combat. After being honorably discharged, he has proudly received both his undergraduate and graduate degrees in the Inland Empire. In 2008 he received a Bachelor of Arts in Anthropology along with a minor in Pre-Med Biology from California State University San Bernardino. In 2012, after being admitted with a merit scholarship, he received his Juris Doctor from University of La Verne College of Law, in Ontario, CA. He became a licensed attorney in June 2014 and immediately opened the doors to his own law firm, The Law Office of Estefan M. Encarnacion. As a sole-practitioner in the city of Rancho Cucamonga, CA, he concentrates his experience in the areas of Family Law, with an emphasis on Military Divorces, Civil Litigation related to Real Estate and Evictions, Estate Planning, Bankruptcy, Criminal Defense and Veterans Benefits.